Guest: Dr. Rupert Sheldrake is the current Perrott-Warrick Scholar and Director of the Perrott-Warrick Project. He is also a Fellow of the Institute of Noetic Sciences, near San Francisco, and a Visiting Professor and Academic Director of the Holistic Thinking Program at the Graduate Institute in Connecticut. Announcer: On this episode of Skeptiko, Dr. Rupert Sheldrake. Dr. Rupert Sheldrake: The heads I win, tails you lose, Chris French says that psychic researchers do this. Actually, I think skeptics do it more. If they get a result that shows no effect then they say, oh well, it hasn’t worked to this new phenomenon here. If there’s a positive result, as there are in many of my own experiments, then they say, oh, then the experiments must be flawed in some way. So I think this way of arguing works absolutely both ways. Alex Tsakiris: Welcome to Skeptiko, where we explore controversial science with leading researchers, thinkers, and their critics. I’m your host, Alex Tsakiris, and on this episode I have an interesting interview with Dr. Rupert Sheldrake. Now you’ll recall that on the last episode of Skeptiko we talked to Dr. Chris French, from the University of London, and one of the topics that came up was his collaboration with Dr. Sheldrake, particularly on the telephone telepathy experiment they’ve been looking at but also on the other experiments with telepathy that Sheldrake has pioneered. So after I got done with Dr. French I thought it would be interesting to get Dr. Sheldrake’s take on the collaboration. He was nice enough to sit down with me for this interview. I think you’ll enjoy it. Some very, very intriguing stuff if you like to dig into the details of these experiments which is pretty much what Skeptiko is all about. Here’s my conversation with Dr. Sheldrake. We’re joined today by Dr. Rupert Sheldrake, and I asked Dr. Sheldrake to come back on Skeptiko because the conversation that I had last episode with Chris French was really quite interesting. We entered discussion about anomalistic psychology and about parapsychology, and particularly about how collaboration between – to use simple terms – skeptics and believers, how that takes place and some of the pitfalls of it. So it was very, very generous of Dr. Sheldrake to offer to come back on and discuss a couple of these points with me. It was a request I made because I wanted to follow up on this. Dr. Sheldrake, thanks again for joining me today. Dr. Rupert Sheldrake: It’s a pleasure. Alex Tsakiris: I sent to you a clip of part of the interview that I had with Dr. French and I just wanted to get a brief response on a couple of points. Let’s talk a little bit, to begin with, about some of the replications that Dr. French’s group has done of your experiments. Now he was pretty direct in saying that he has never, nor have any of his students, ever been able to replicate any of your experiments despite many attempts. Would you have anything to comment on on that statement? Dr. Rupert Sheldrake: Well yes. I mean it sounds as if he’s tried really hard over a long period of time and nothing I do ever works when they do it. It’s not quite like that and first of all there haven’t been that many attempts. He did a staring experiment, I think it was the first thing that he did that was related to my own work. He used different methods than ones I’d used and his student came up with a result that was statistically significant by one test and not significant by another. Probably the one that they used was the most appropriate, but it was on the borderline of significance, so I asked for the data, to analyze it using different statistical procedures. They’d used a t-test and there were other ways of doing the analysis. I just wanted to see how that would work. He said oh, well, I couldn’t do that cause they’d discarded the data. So I wouldn’t say that was an unambiguous failure. I think that it was interesting result and it was on the borderline of significance. It all depended on which tests you did. It wasn’t a test that was working particularly well. The test was to see if people can tell when someone else was listening to the same piece of music and looking at the same picture. This isn’t normal telepathy, it’s a different kind of phenomenon. I’ve done some other tests on that and subsequently changing the conditions where it has worked. But this is getting positive results. This is a sort of open area of completely new phenomenon being inquired into. Alex Tsakiris: Yes. You brought up a point that came up in my discussion with Dr. French, and that’s this topic of controls. Dr. French suggested that ordinary bias that creeps in with any scientist would suggest that you may not be using the best and tightest controls or you may be applying controls in such a way as to boost the chances of you getting a certain result. The other thing that he alluded to, and he called it the “heads I win, tails you lose,” phenomena where you know, you try the test under a certain set of circumstances or protocols or controls and it fails. So then you change it and it succeeds. And if it succeeds initially then you never make any changes. To me it seemed like a reinterpretation of kind of a normal scientific process in terms of trying to identify a phenomenon by managing the protocols and controls. So I ‘m sure you have a lot more to say on that than I do, so go ahead. 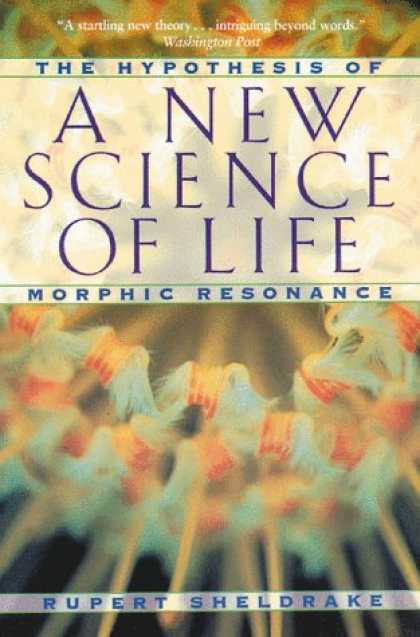 Dr. Rupert Sheldrake: Yes, well first of all, in any field of science, including psychology — I’m talking now mainstream, totally normal science – people try out all sorts of things and they publish things that give clear-cut results. I think people in parapsychology do the same. They probably publish at a higher proportion of experiments that don’t work than in other areas. I’ve done surveys of people working in conventional fields of science like biochemistry and molecular biology, genetics, psychology, and asked them, “What proportion of your data do you publish?” Most of them have answered you know, between five and ten percent. There’s a huge file-drawer effect in regular science. Because parapsychologists are more aware of this, I think they publish a higher proportion. So I think the idea of trying things out, seeing what works, is not a specific criticism of research on psychic phenomena. It applies to every single branch of science. The “heads I win, tails you lose,” Chris French says that psychic researchers do this. Actually, I think skeptics do it more. If they get a result that shows no effect then they say, oh well, it hasn’t worked to this new phenomenon here. If there’s a positive result, as there are in many of my own experiments, then they say, oh, then the experiments must be flawed in some way. If they get a negative result or a non-significant result, then they think the experiment must have been okay. So I think this way of arguing works absolutely both ways, and actually Chris French admits that. But when we come to one of the most important replications he’s tried to do of my work, the telephone telepathy experiments, I’ve done these under very strictly controlled conditions. We’ve had the subjects on film, on camera. We’ve had all the observations made, you know people have – third parties have examined the film line to see whether there’s any possible flaws. They haven’t found any. These have been done under very tightly controlled conditions and Chris French tried to replicate this. He got a couple of students on the case. They only managed to recruit ten subjects and actually I recruited nine of them for them because I wanted to help them out. Chris insisted on a procedure whereby all the people who were calling them had to be in a particular place at a particular time. They all had to be filmed. The subjects had to be filmed and in these experiments the results were pretty near chance. He would say this because when you do it really rigorously the effect goes away. I would say that if you get people doing something fairly sensitive like telepathy, which works unconsciously, you get everyone on edge, you get them really nervous, feeling they’re being treated as if they’re cheating, everyone involved is treated as if they’re a cheat. Then you create conditions of nervousness that interfere with the phenomenon. It’s rather like saying to Chris French or somebody else, you claim you can have an erection. I want you to prove it right now, on camera, on demand. And then have people with clipboards sitting around saying, “Right. I want to see it right now.” They probably wouldn’t be able to have an erection on demand under those conditions. And I think that psychic phenomena are sensitive to context. I think that skeptics doing experiments in a way that implies extreme distrust of everyone involved is likely to be inhibitory of the phenomenon. Alex Tsakiris: I didn’t quite understand why Dr. French felt like that degree of rigor in the controls was really necessary and I guess maybe there was some reason behind it. But I kind of had the same sense that you’re alluding to when I listened to that. I thought, ‘Wow, why would you need to videotape every one of the senders?’ And maybe you can speak a little bit to this issue again of control and just how we decide what controls are really necessary versus what controls might be counterproductive to an experiment like this. What comes across, I think, to a lot of people is, oh, wow, more controls. That must be better. It must be tighter. Dr. Rupert Sheldrake: Well, I think it’s quite unnecessary to videotape all the people who are the senders in the experiment. For those who are not familiar with it, there’s a person sits in a room being filmed. There’s four people who could be senders. They could be calling that person on the phone. Normally, in most of the experiments, I’ve done some where they’re all filmed but in most of them they’re free to be going around their normal lives. The advantage of having the people free, leading normal lives is they’re not thinking about the subject the whole time. If you get them all together in the same room and they’re all part of the experiment, it’s hard for them not to think about the subject, causing confusing messages for the subject. Filming them continuously, all the time, doesn’t give you any extra information over-filming the subject. And I said, “What are you going to say if there’s a positive effect?” And he said, “I’m going to say that the controls weren’t rigorous enough, and we’ll have to do it with even more rigorous control.” Chris and I, both of us in advance realized that whatever the result, you know, neither of us was going to say okay, the phenomena or it doesn’t exist. His idea of more rigorous controls would you know, involve stepping up the degree of suspicion with which everyone else is – everyone involved is treated. And then you know, you could probably reach a level where the phenomenon would go away. This just isn’t a feasible way of doing research. And interestingly, with the telephone telepathy tests, he got several grants, he hired extra staff you know, to do more replications. And in an entire year they couldn’t recruit a single subject to do this experiment. As I say, nine out of ten they got for the first time around, I recruited. They just couldn’t get anyone who was willing to be tested under these conditions. This had nothing to do with me. They were advertising in papers in London and appearing on radio programs. I helped them. I gave interviews to papers and radio programs to help them in this recruiting drive. But the fact is that they were doing them under such conditions – such off-putting conditions – just no one wanted to do it. Now the other thing is that in this so-called replication that he was doing, in my own tests, I tested people under looser conditions first. I found people who had these or said they had these abilities under normal life conditions. In this other one they were so desperate to get people to take part, you know his students with my help, and I have to say we were recruiting almost anyone we could get. You know, whether or not they had any abilities, even in normal life. So not really a very close replication. Alex Tsakiris: Right. I think that’s a very interesting point that you make, and maybe you can expound on that a little bit more, but I think when we’re trying to identify a phenomena like telepathy, isn’t it okay to pre-suppose that some people might be better just in some way we don’t understand, but they just may be better at it than other people. And for purposes of really identifying and demonstrating the phenomena, we should focus on working with those people rather than testing the broader hypothesis that this somehow occurs in the general population at some rate. Dr. Rupert Sheldrake: Yes, now I completely agree. People have different senses of smell, different sensitivity to music, are better or worse at maths. In every human ability there’s natural variation and so I think there is with telepathic sensitivity. And in fact, when Chris French and I planned this experiment in advance, the idea was that people would be recruited on the basis of their claims to have this kind of experience with telephones frequently. That’s not what happened in the end because the conditions of testing were so you know, oppressive that virtually no one would agree to do it. I ended up twisting the arms of some of my son’s friends, my 19 year old son, just to help out Chris’s students, because they wouldn’t have been able to write their thesis otherwise. I didn’t regard this as a particularly good test. Now Chris is now trying to test my automated telephone telepathy experiment. He’s given up the idea of trying to film everybody involved. They’re just filming the subject. He got a grant, he recruited staff for this three months ago, and they haven’t done a single test yet. Again, they’re finding it really hard to recruit subjects. So you know, it’s one thing working with skeptics, but you know, they have to do some of the heavy lifting themselves in terms of recruiting subjects. And if they set up conditions that are so off-putting, then nothing much happens. So I’m not quite sure what will happen there because he’s got the grant, there’s a lot of people who want him to work with me on this, and I’m happy to work with him on it. But you know, people don’t particularly like being tested by skeptics who essentially are assuming that they’re cheating all the time. But at the same time, it seems to me that people in these circumstances are able to kind of discern and say, “Yeah, but it really doesn’t really explain that.” And I’m just wondering, has anyone looked at, or do you have any thoughts on the limits of this kind of anomalistic psychology explanation. Cause certainly it does offer a partial explanation for what’s going on, but has anyone explored kind of where that kind of peters out in terms of explaining these phenomena? Dr. Rupert Sheldrake: Well, I think it’s a very good point. I mean, what the anomalistic psychology is essentially an attempt to explain or explain away seemingly anomalistic experiences and they concentrate the anomalistic psychologists on the fallibility of human judgment. People don’t always remember things right or perceive them correctly and so forth. They’re prone to statistical biases and stuff. All this is perfectly true. We know that human judgment is fallible and stuff. But this is then used as a kind of blanket explanation to try and explain away psychic phenomena, precognitive dreams, telepathic incidents, and so forth. I just think it’s a kind of blunt weapon that’s used in the kind of generic way that just doesn’t get to grips with the reality of these phenomena. It’s a kind of stop-gap measure. You see, Chris French is more sophisticated than some skeptics. Some skeptics simply say anyone who believes these things is stupid. They’re subject to illusions. He says, “I believe people really believe these things and they sincerely believe them, but there are subtle biases that come into it.” I mean, in a way he’s saying the same thing, but in a much more polite and agreeable manner. You know, the cold reading thing for psychic phenomena, especially for mediums, has been a standard skeptical explanation for decades, maybe centuries. I think the only person I know who’s tested it systematically was Gary Schwartz. As you probably know, he did experiments where he had people sitting behind screens and then he asked experienced cold readers, skeptic types, to by fishing for information by doing cold reading, to find out what they could from these people. He then had competent mediums, people who had a track record of being good, you know, mediumistic séances do with the same people, also get information. All this was recorded. And he found out that the cold readers did get some accurate information, but nowhere near as much as the genuine or seemingly genuine mediums. So he’s actually put to a test the cold reading thing by actually getting people to do cold readings and see just how well they can do compared with professional mediums. And the answer is, they get some points, right? But it’s by no means a complete explanation of what’s going on. Alex Tsakiris: Right, right. Yeah, and it just struck me as I was you know, talking to Dr. French that the other way to do that experiment that I haven’t heard anyone do it, is to say let’s take the same person that received a reading, let’s give them the reading initially, then let’s teach them the cold reading techniques. Make them aware of where their biases may come into play and see how much the effect goes away. This is a kind of defensive position where whenever evidence comes up, anomalistic psychology is wielded on as the way of trying to dismiss it as errors of judgment, flawed perception, etc., etc. But of course, the question remains throughout, what if these things are real? What if they’re really happening? And you know, that’s something that’s not on the agenda for someone who’s a convinced skeptic. So Chris and I agree in certain ways about certain things. I mean, personally I like Chris, and he’s got a good sense of humor, we get on fine. And I think he’s much more honest than many skeptics. But one of the things we agree about it that everybody tends to see things in a biased way, including skeptics. He will freely admit this. We all have to try and overcome our inherent biases. He has to try and overcome his, I have to try and overcome mine. And people are getting psychic readings, you know, if they’re really going to get the most out of it, have to be aware of cold reading, as you were suggesting. Alex Tsakiris: Great. Well, maybe that’s a great place to end it, then. Thanks again so much for coming back and popping in here with a little response. I think our listeners will find it very, very interesting. Especially able to kind of weigh and balance the two sides of this interesting debate. Dr. Rupert Sheldrake: Good. Well, thanks Alex. Alex Tsakiris: Thanks again to Dr. Sheldrake for joining me today on Skeptiko. If you’d like more information about this show or any of our previous shows, please visit our Web site. It’s at www.skeptiko.com. Don’t forget the k. You’ll find plenty of information about all our previous shows, our forum, an e-mail link to me, and lots of other good stuff. So that’s going to do it for today. I’d like to thank Brandon, the new voice that you hear at the beginning of Skeptiko, for helping me out with editing and you’ll hear more about his contribution in the future. Much more to come on future episodes. Stay with us. And bye for now.